Pro-jectin huokein levysoitin. 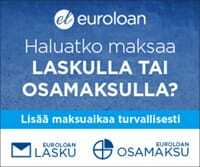 Halvasta hinnastaan huolimatta soi paljon paremmin kuin perus markettisoittimet. Pitkäikäinen ja varmatoiminen sekä valmiiksi säädetty. • Belt drive system • Integrated motor control with DC power supply secures silent running • Central gravity mass point made from artificial stone • Main platter bearing made from stainless steel runs in bronze bushing with Teflon bottom • Low resonance MDF platter with felt mat • 8,6” ultra low mass tonearm with straight arm tube • Pre-adjusted tracking force & antiskating • Gold-plated RCA contacts & cartridge pins • Colour options: red-black, white-black, silver-black • Dust cover separately available (from 3rd Quarter 2015) Best buy turntable with maximum simplicity & outstanding sound quality! 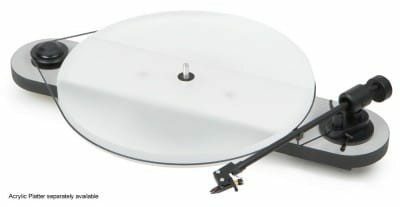 Pro-Ject has decided to go after the cheap plastic turntable market with an high quality alternative that comes complete with an Ortofon cartridge. The new Elemental table is a real "plug'n'play" all the way. No adjustment of counterweight and antiskating is needed, because both are pre-adjusted. This new straight ultra low mass tonearm is optimised for Ortofon OM cartridge series. All the buyer needs to do is remove it from the box, remove bearing guard, locate the belt around the platter, remove stylus guard and plug it in. The only plastic here is the stylus guard! The hidden secret to the new table's sonic success, is a central gravity mass point, made from artificial stone and placed directly underneath the platter bearing. It is capable to fully absorb unwanted rumble and motor vibration. This turntable appears to be pure simplicity itself, while maintaining high quality audio standards.